BDA Approved sites are available for sale at Magadi road. Adjacent to Nadaprabhu kempegowda layout. RERA approved. Clear marketable titles. Finest 5 acres plotted development. Close proximity to NICE Road. Just 20 mins to Global village texck park. 15 mins to Kengeri, Nagarabhavi. 30*40 , 30*50 and 40*60 dimensions are available. Bhiwadi Polymers Ltd. is an ISO 9001-2008 certified company. we are developing, manufacturing and distributing various grades of Water Borne Adhesives, Solvent Borne Adhesives and Wood Coatings for the last 30 years. 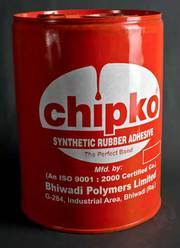 We are one of the Reputed Manufacturer of Rubber Adhesive in India. We have a large variety of products ranging from Pressure Sensitive Adhesives, Lamination Adhesives and Synthetic Rubber Adhesives to Wood Adhesives and many more. Exceptional range of apartments for sale in Mohali, Kharar & Balongi in prime locations. All the apartments we offer have premium quality finishes, fixed with all the amenities like false ceiling, LED lights and electricity backup. Click here for more info https://www.alexanrealestate.com/. Plots are available on resale at DLF Hyde Park Mullanpur. 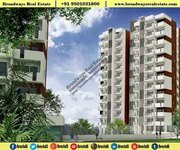 Dlf Hyde Park 350-Sq Yard Wide Road Facing and East Facing is available at 85 Lacs. Dlf Hyde Park Mullanpur 350-Sq Yard in R1 Pocket is available at 79 Lacs. Dlf Mullanpur 350 syd plot Park Facing is available at 95 Lacs. Dlf Hyde Park New Chandigarh 500-Sq Yard East Facing is available at 130 Lakh. Plots are available on Resale at GMADA Sector 88 Mohali. Gmada Park Facing200 sq yard Landpooling Sector 88 Plot is available at 75 Lacs. 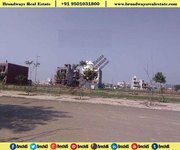 Gmada Park Facing 100 sq yard Sector 88 Plot is available at 38 Lacs. Gmada Sector 89 Plot, 12 marla is available at 95 Lacs. 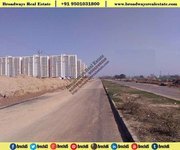 Gmada Sector 89 Plot, 1-Kanal plot is available at 135 Lacs. Shri Gulshan Suman has been exposed to music since childhood; his first Guru was his uncle Giani Gurbachan Singh, who was disciple of Famous Ustad Malang of Punjab, who was guru of Ustad Alla Rakha, the father of Ustad Zakir Hussain (famous Tabla player). Then he started learning systematic Hindustani Classical Music (Vocal) first from Sh. Gulati Services has successfully unleashed thousands dream with people who wish to study and settle abroad. A pioneer abroad Visa consultant with deep research and comprehensive information that make you to take leap in your professional career and life. Thousands of people excellently cherished with their dream abroad - Trust is all that we have established through people’s faith and our excellent service. DABBL is the leading bathroom shower enclosures company in Asia, Europe and United State. We offer a many range of shower enclosures, shower room, shower door, shower cubicle, shower cabin with a variety of designs, finishes, and styles that elevate your bathroom decor and bathing experience at export3@dabbl. Industrial , IT & Warehouse Plots at MK Technology Park, Mohali Greetings From Mahakali Developers +91 8750079997 info@mahakali-developers.com Also visit to our website for updates https://www.mktechnologypark.com/ MK Technology Park is the only Integrated Industrial Park closest to Chandigarh. If you have a dairy business across the worldwide No worry we are serving globally. We are the only solutions that provide bespoke and robust feature with customize option in a milk delivery service. In case you are facing a problem in managing the milk delivery business information, we provides the online milk management system that automate manage everything. 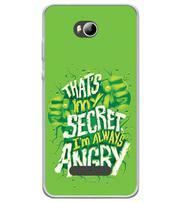 At Yubingo, you can get the customized mobile phone back covers. We know that what is simple is beautiful. We also believe that anything that speaks your identity and styles matters a lot to you. That’s why you bring you the back cover tailored to your choice. We can give you cover with your photo or the photo that you want to have on the back covers. Welcome to Indian Coffee Estates. Golden opportunity to have your own individual one or two acre coffee estate in Western Ghats, Sakleshpur, Karnataka. If you are looking to invest your money on coffee estate this is the right time to invest. we sell and do the maintenance of coffee estate. We have 60 acres well maintained coffee estate bifurcated into 1 acre, 2 acres & 5 acres, with good individual Road, Water, and Electricity. Dlf Hyde Park Mullanpur is adjacent to GMADA Ecocity Mullanpur. DLF Hyde Park has residential plots of Size 350 to 500-SYD at New Chandigarh. DLF Hyde Park is Near to Botanical Garden. DLF New Chandigarh is Near to PGI and Panjab University. For more details contact us at Broadways Real Estate: 95O1O-318OO, 95O12-4951O. Gmada sector 88 & 89 plots in mohali is near to DAC Complex. Gmadasco in sector 88/89 is near to Mohali International Airport. Sector 88-89 mohali is just 6-Km from Mohali Cricket Stadium. 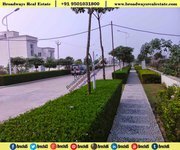 For more details contact us at Broadways Real Estate: 95O1O-318OO, 95O12-4951O.Gmada sector 88 & 89 plots are near to NIPER and Fortis Hospital. Getting married is an amazing experience. It is a day filled with emotion, joy, happiness and sometimes a little sadness when a family member or friend who is no longer with us is not there to share our special day. As professional wedding photographers we know how stressful arranging your wedding day can be. 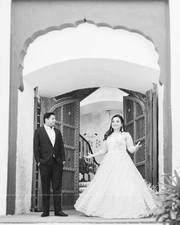 Lokking for best Indian Professional Candid wedding photographer in chandigarh, Punjab, Hire Sushil Dhiman, He is providing best candid photography in Mohali, India. Contact Us Today!! 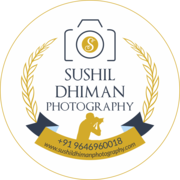 Visit: http://www.sushildhimanphotography.com/. 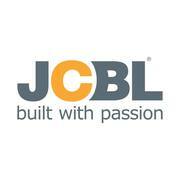 JCBL Armouring Solutions uses up-to-the-minute machinery, with enhanced production efficacy, international quality standards, and high yielding capacity. We implement the latest technologies in laser cutting and bending, which don’t affect the metal structure resulting in our ability to supply armoured vehicles that guarantee the utmost safety and security. Conceive a Baby Boy with our Baby Boy Course Our Baby Boy Course, offers the chance for a more balanced family and allows your children to feel wanted. A female child who knows that her family wished she were a boy carries an unnecessary burden throughout their childhood. As more parents choose their children with success, there will be more love to go around, less rejection, and a reduction in family size. Gmada Eco CityMullanpur, Ecocity Phase-2 New Chandigarh 200 gaz plot GmadaEcocity plots at Mullanpur are in the picturesque backdrop of Shivalik Hills. 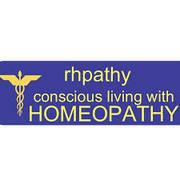 GMADA has also set aside 125 acres for Medicity near GmadaEcocity. Ecocity Phase-2 will have residential area with green belts, and commercial establishments. Do you want to learn #French to increase your CRS score for the Canadian immigration process or just want to be multilingual? We can help you in all your needs in a simplified learning process. Call us today. 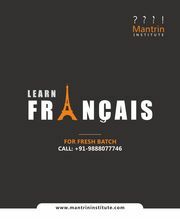 #LanguageLearning #LANGUAGE #education #canadianimmigration #frenchlanguage #institute #chandigarh https://www. Chandigarh is a union territory of India which serves as the capital of two neighbouring states of Punjab and Haryana. Chandigarh was the first planned city of India post independence designed by French architect Le Corbusier and has become a popular tourist destination across the world and known for its architecture and urban design. Chandigarh ads Chandigarh, All categories classifieds Chandigarh, All categories free ads Chandigarh, ads for sale Chandigarh, ads to buy Chandigarh, FREEADS in India Chandigarh Page number 7-1. Find here ads for sale, to buy and rent in Chandigarh. Goods for sale in Chandigarh, vehicles for sale in Chandigarh, Chandigarh real estate for sale, Chandigarh property for sale, property for rent in Chandigarh, business ads in Chandigarh, Chandigarh business classifieds, services in Chandigarh, Chandigarh services ads, jobs in Chandigarh, pets for sale in Chandigarh, Chandigarh dating, Chandigarh cars for sale.